Inspired by the fragile scallops of a sea shell, Addison's graceful curves provide a delicate beauty that adds a romantic touch to the bath. The Addison Collection is available in a full range of products, including accessories, faucets and showers to provide a coordinated look throughout the bath. Complete the look of your bath with this Trinsic 30 inch Towel Bar. Delta makes installation a breeze for the weekend DIYer by including all mounting hardware and easy-to-understand installation instructions. You can install with confidence, knowing that Delta backs its bath hardware with a Lifetime Limited Warranty. The Genta Bath Suite offers style with a dominating presence - for a look that appeals to a wide variety of residents. It is designed with user features, including curved edges and clear temperature indication, and mass appeal that are essential in the multi-family and hospitality marketplaces but also provide that same appeal in residential applications. Matching accessories create a fully coordinated look throughout the bath. 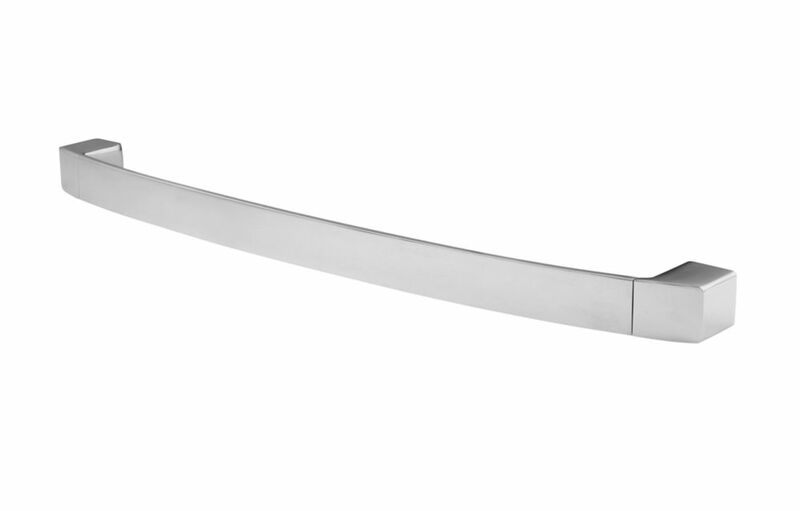 Kenzo 24 inch Towel Bar in Chrome is rated 5.0 out of 5 by 1.